“There are some awful things in the world, it's true, but there are also some great books.” This book is part memoir and part fantasy and all wonderful. I was completely absorbed by the setting and characters. I felt a strong kinship to the main character's love of literature. I was equally fascinated by the historical aspects of life in Wales and at an English Boarding school in the 70s and by the fairies and their magic that the narrator describes. 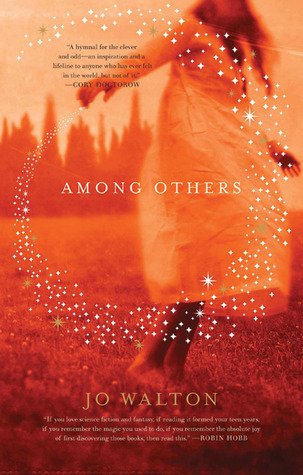 I absolutely adored this book and I cannot recommend it enough-especially for anyone who has ever felt like an outsider and sought comfort in the pages of a book.Among Others by Jo Walton: buy it or check it out today! I read this book while I was travelling in Italy and I was so absorbed by it that I found it difficult to put it down even with the temptations of Venice awaiting me. I've always been a fan of retellings of well-known stories but this one really goes above and beyond. The characters were so fully realized that I found myself worrying about them when I put the book down even though, of course, I already knew how their stories would end. When that inevitable ending did arrive I was completely shattered. Whether you've read a dozen versions of the Trojan Wars or you've never heard of the face that launched a thousand ships, this book is sure to pull you in. 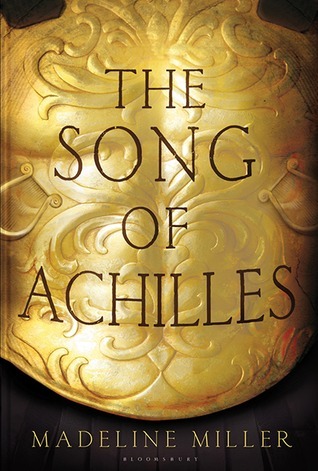 The Song of Achilles by Madeline Miller: buy it or check it out today! This book is a cross between the fun, light romance that Georgette Heyer is known for and a Gothic Tale. There's a spunky but penniless heroine, first impressions that turn out to be wrong, and of course true love triumphs in the end. The Gothic aspect was uncomfortable from a modern perspective. It largely revolved around a mental illness that was portrayed in a way that shows a clear lack of understanding. I'd stick to Heyer's more traditional romantic fare. 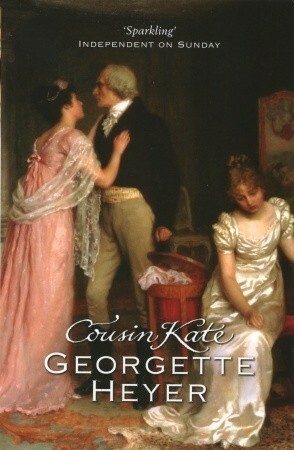 Cousin Kate by Georgette Heyer: buy it or check it out today! This is a fun, light, fairy tale read but not in any way memorable. I remember enjoying reading it on the train, but a week after I finished it I couldn't tell you what it was about. I'm pretty behind in my reviews so at this point I would have forgotten that I read it entirely if it wasn't for Goodreads. I really should have written down my impressions sooner but the fact that I have so completely forgotten it says something in and of itself. 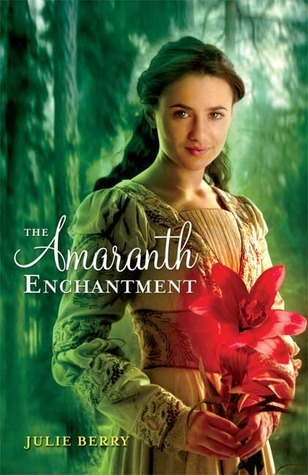 The Amaranth Enchantment by Julie Berry: buy it or check it out today! This book is considered a classic of Australian literature and I can see why. The prose is gorgeous and it evokes a time and place so well that the outback is practically a character in the novel. The plot revolves around a tough man and his 4 year old daughter whom he takes custody of just to spite her mother. Watching him be affected by this child that he at first sees as no more than a burden is genuinely moving and there's plenty of humor provided by the juxtaposition of this spunky child with a hard man. The book had me crying more than once as it portrayed the hard life endured by these people. The only caveat I'd give is that the book is a product of its times and there's plenty of sexism and racism, especially against indigenous peoples. Still, it's unfortunately an accurate representation of the period and the main character isn't always supposed to be sympathetic. It's a moving novel and it captures its setting beautifully. 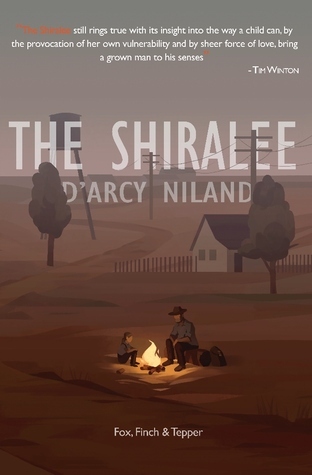 The Shiralee by D'Arcy Niland: buy it or check it out today! Erica has read 17 books toward her goal of 75 books. Auld School Librarian by Erica Bretall is licensed under a Creative Commons Attribution-NonCommercial-ShareAlike 3.0 Unported License. Most of the images on this blog are book covers that I do not own the copyright to. I am using them in fair use to comment on and criticize the books.